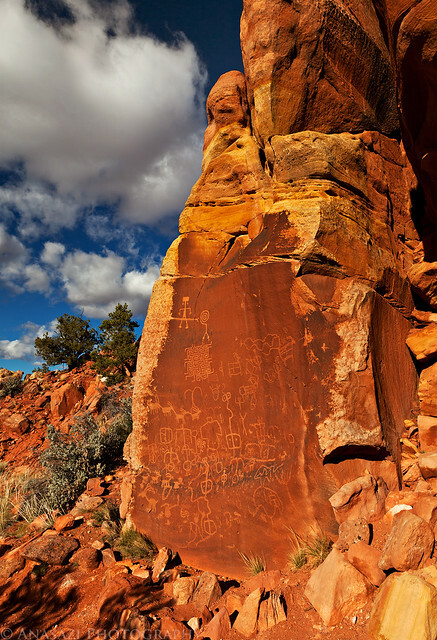 The Notch Panel is one of my favorite petroglyphs panels near the Utah – Arizona state line. I took this photo close to sunset so the direct golden light would help bring out the figures. The puffy clouds in the blue sky were a bonus! The maze-like design and two-headed snake are very unique and what sets this panel apart from others.